Sacramento Estate Planning Attorney David R. Morris is a Certified Specialist in Estates, Trusts, and Probate, certified by the State Bar of California. 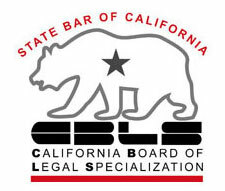 Less than 2% of all licensed attorneys in California hold this designation. Morris Law Group, with law offices in Sacramento and El Dorado Hills, offer comprehensive estate planning for individuals and families of all sizes and wealth levels, including asset protection, wills, probate, trusts, and real estate transactions. Serving the Sacramento Valley from our offices in Sacramento and El Dorado Hills, our estate planning attorneys provide the “ounce of prevention” by ensuring our clients have an effective estate plan tailored to protect their family and assets–today and in the future. Our clients come to us from across the Sacramento Valley and foothill communities, including El Dorado Hills, Sacramento, West Sacramento, South Sacramento, Midtown Sacramento, Natomas, Folsom, Granite Bay, Rancho Cordova, Orangevale, Citrus Heights, Carmichael, Roseville, Cameron Park, Shingle Springs and Placerville. "Ask Dave" is a growing collection of videos that explain estate & business planning terms and concepts in simple terms anyone can understand. Whether it’s managing a will through probate, a simple trust for a couple who owns a home in Sacramento, or a complex estate plan involving multi-tiered structuring, structured lifetime gifting, and advanced irrevocable trust strategies, our attorneys provide the estate planning and trust legal solutions you need to protect your assets, avoid probate, minimize taxes, and ensure that your estate passes to your heirs quickly, efficiently, and as inexpensively as possible. Do You Have an Estate Plan? 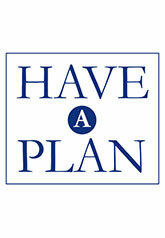 Many of our Sacramento area clients come to us with an estate plan already drafted. For these clients, our attorneys offer a free comprehensive estate plan and trust review to ensure that their existing trust meets their current needs and are in compliance with ever-changing trust and tax laws. At Morris Law Group we also help families plan for nursing home care and other elder-care-related issues. Through the use of innovative strategies and comprehensive planning, we can ensure that you and your family are able to take advantage of the healthcare benefits available to seniors in California without exposing your assets to recovery and forfeit. If you are looking for an Estate Planning Attorney in the Sacramento area to help you construct or improve an estate plan or trust for you and your family, call Attorney David R. Morris, a certified Certified Specialist in Estates, Trusts, and Probate, certified by the State Bar of California. David and his team will work with you to provide a tailored legal solution to protect you and your family, now and in the future. From our offices in Sacramento and El Dorado Hills, we erve clients from El Dorado Hills, Sacramento, West Sacramento, South Sacramento, Midtown Sacramento, Natomas, Folsom, Granite Bay, Rancho Cordova, Citrus Heights, Carmichael, Orangevale, Roseville, Cameron Park, Shingle Springs, Placerville, and across the Sacramento and foothills region.